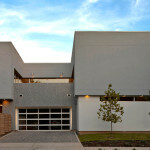 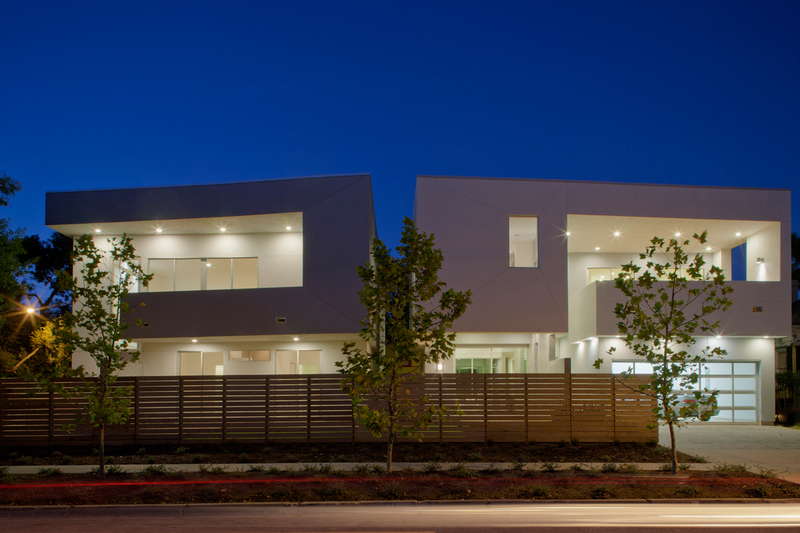 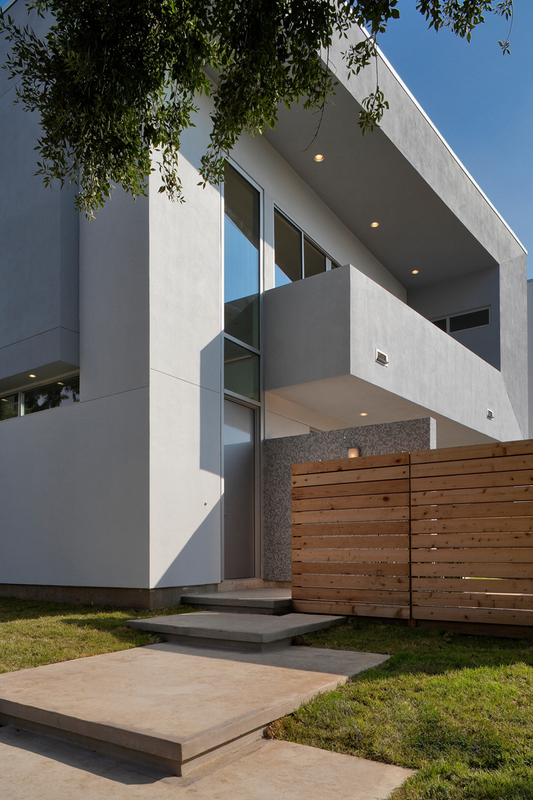 The Hyde Park Double offered a unique opportunity to design two single family homes on adjacent lots within an established neighborhood. 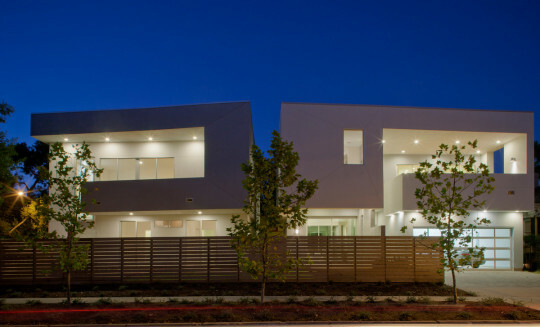 Surrounded by a variety of architectural styles and an eclectic cultural mix, it was crucial to compose the two buildings to compliment each other without losing their individuality. 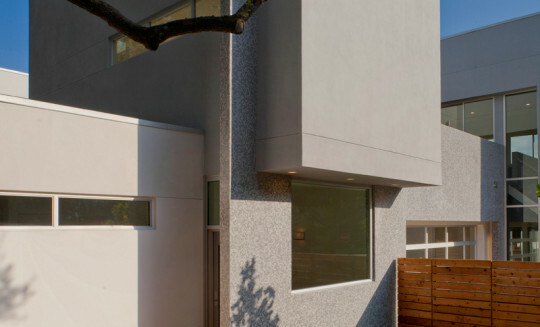 The houses share certain common elements and materials, but the spatial arrangement relates to the City in two distinctly different ways. 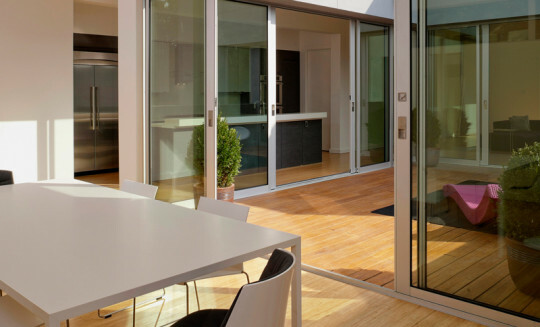 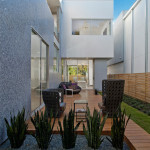 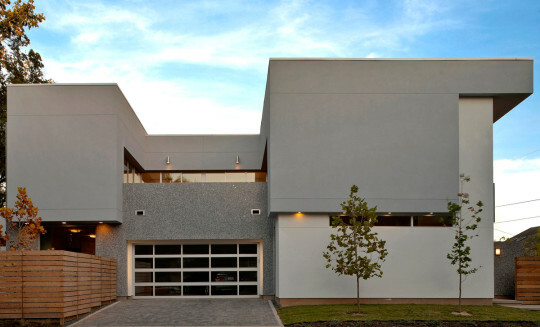 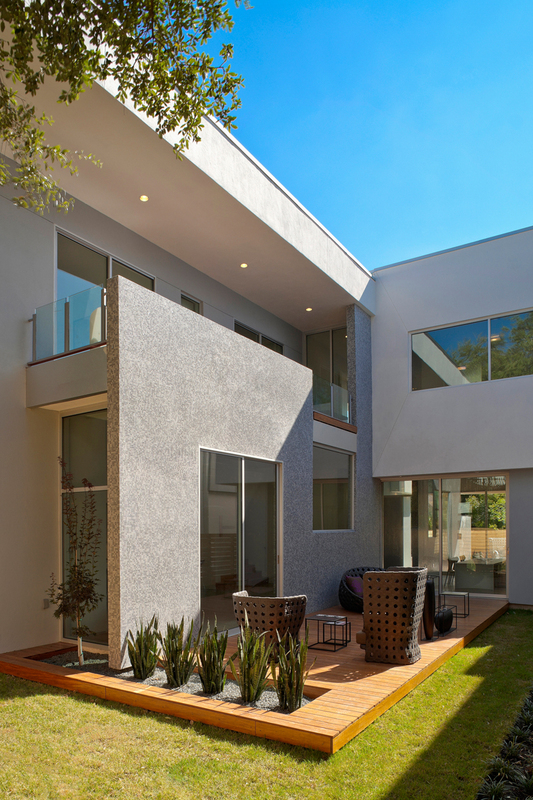 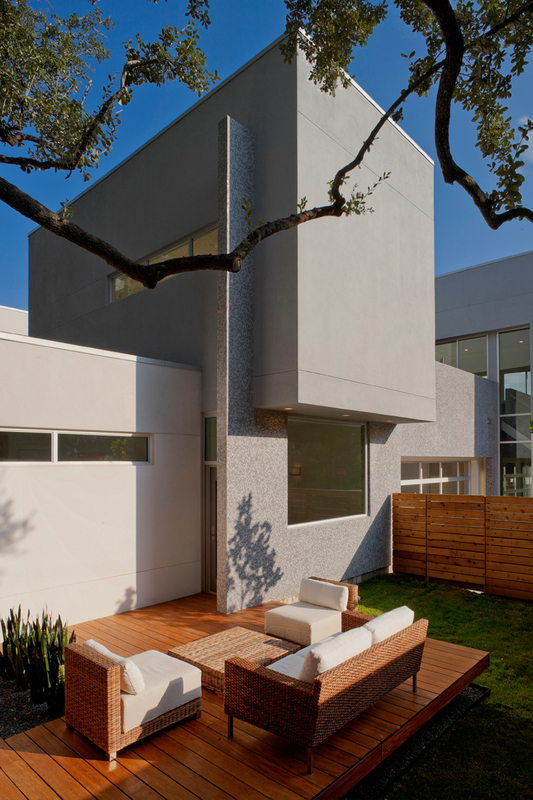 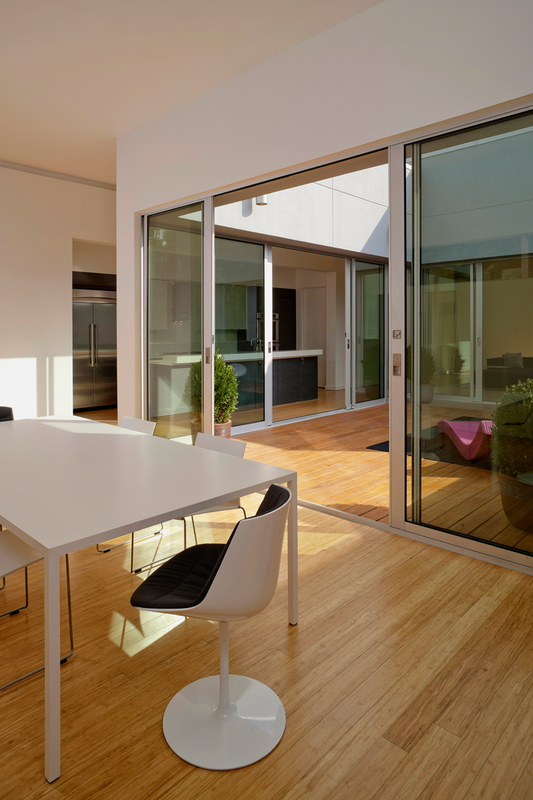 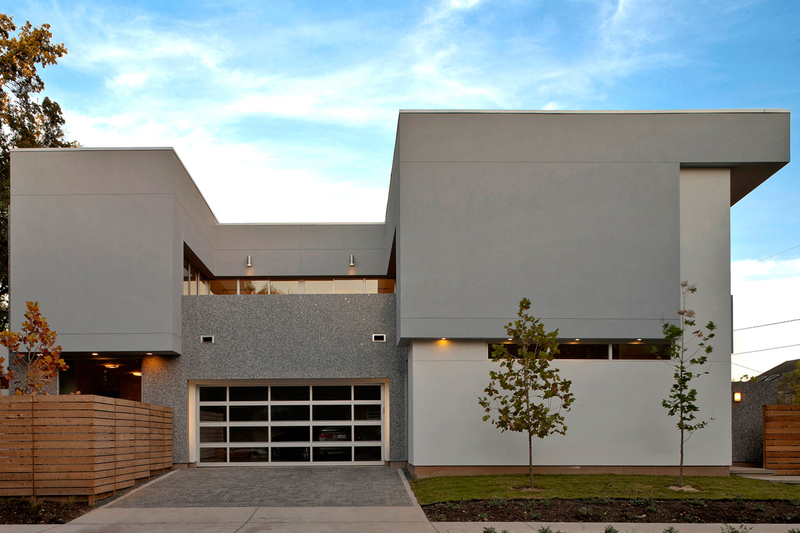 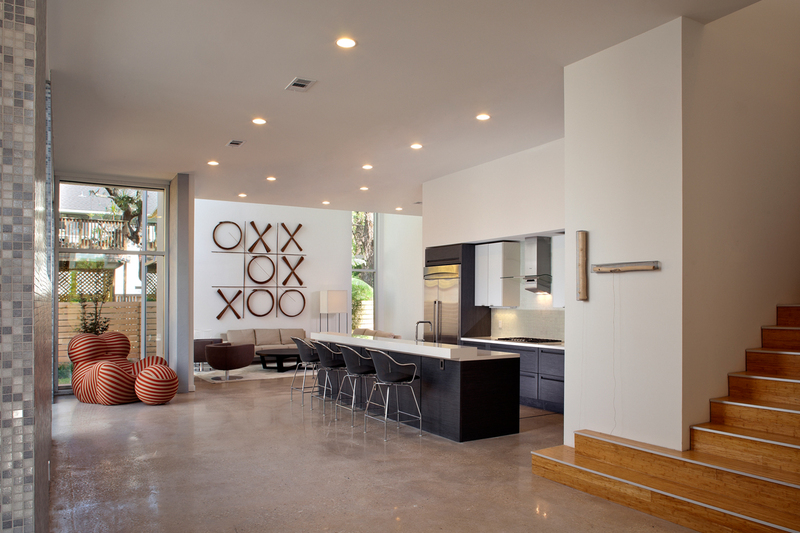 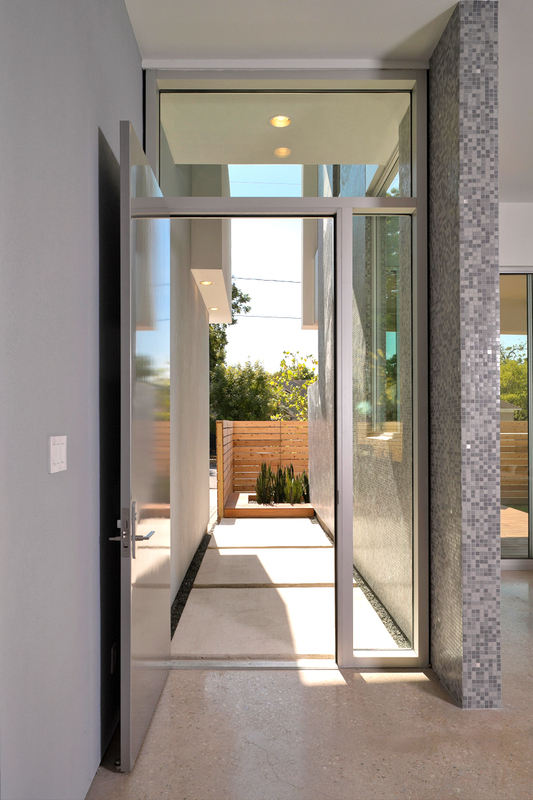 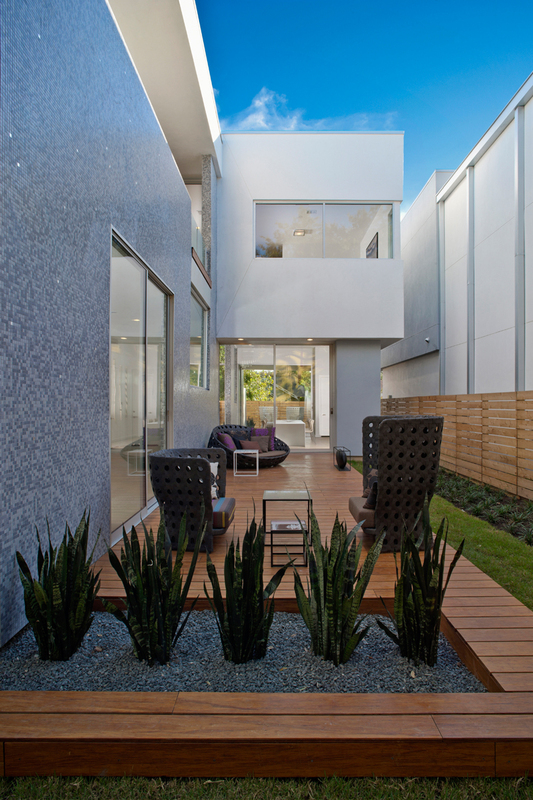 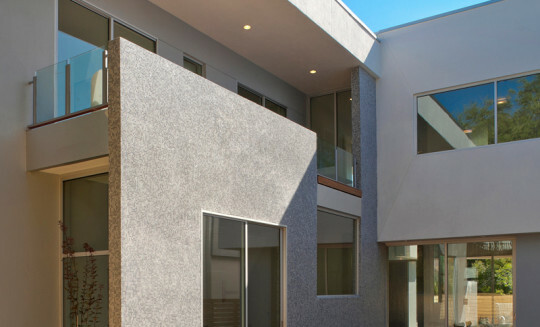 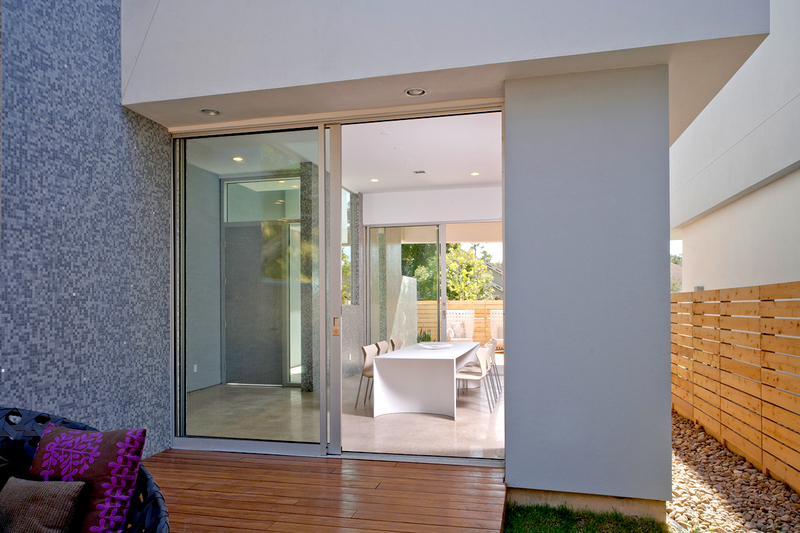 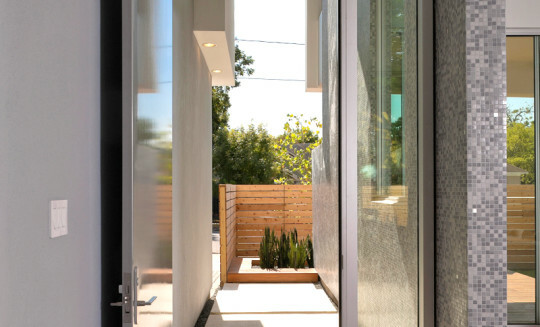 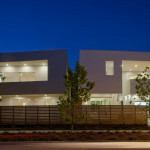 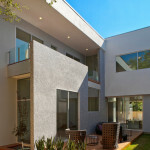 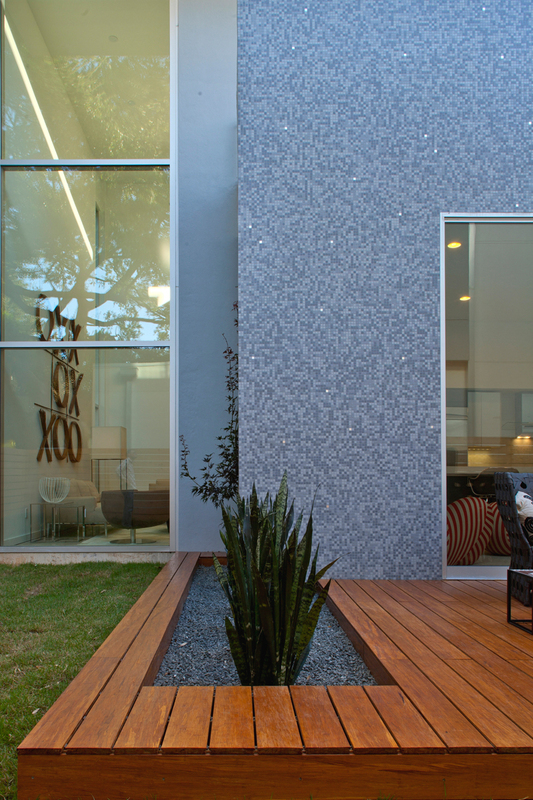 The houses achieve a balance between natural light and privacy with secluded front yards and central courtyards. 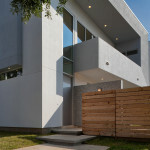 Front porches, common in this neighborhood, are moved to the 2nd floor but maintain their public role along the street-front. 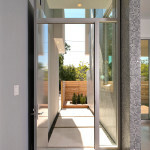 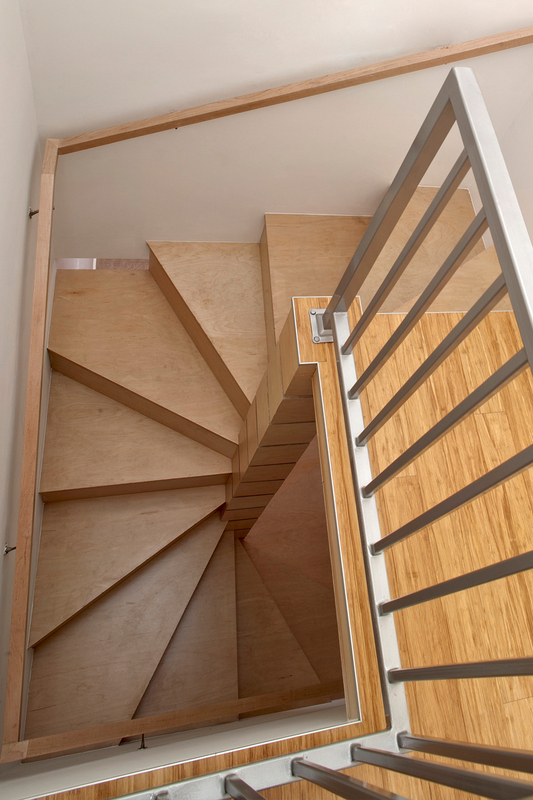 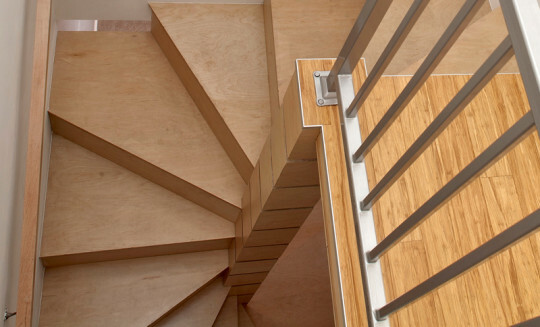 1216, the corner house, features private, peaceful, sleeping areas downstairs. 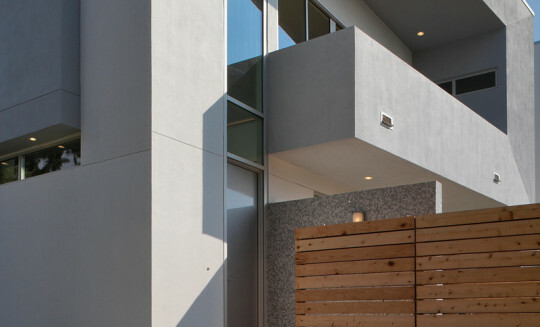 The 2nd floor has a central courtyard surrounded by public entertaining areas with the flexibility to organize the space by operating the large sliding glass doors. 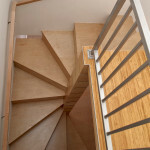 1212 flips this arrangement with bedrooms upstairs sharing the front porch and rear widow’s walk. 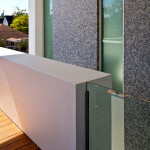 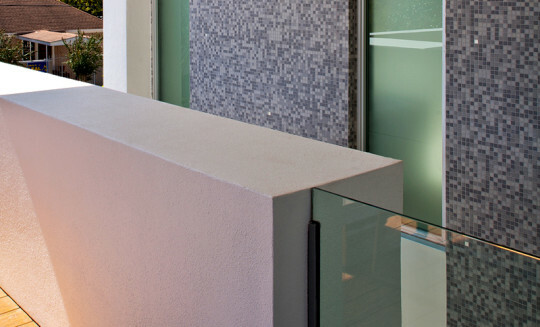 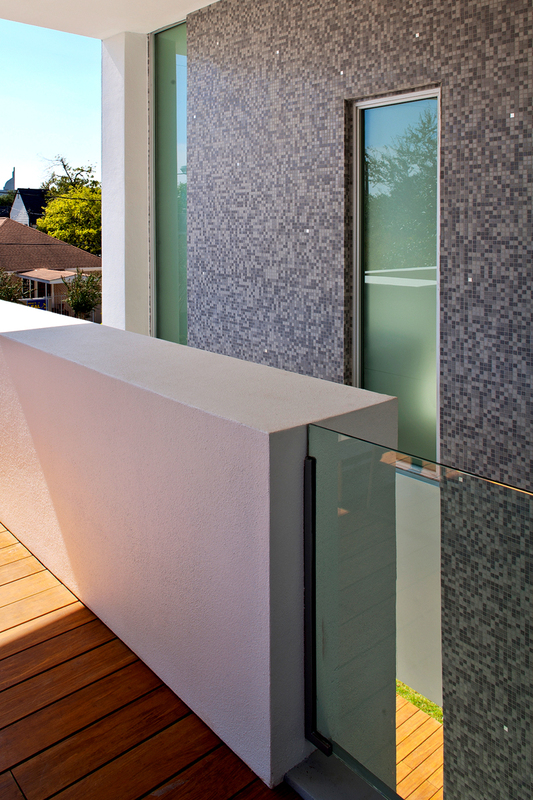 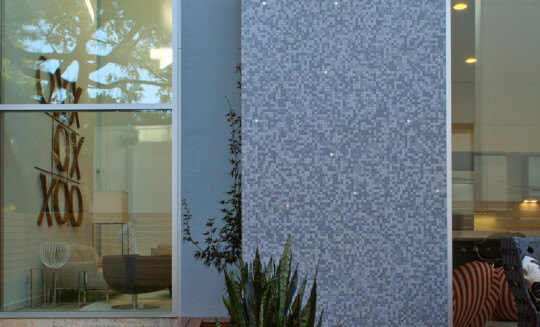 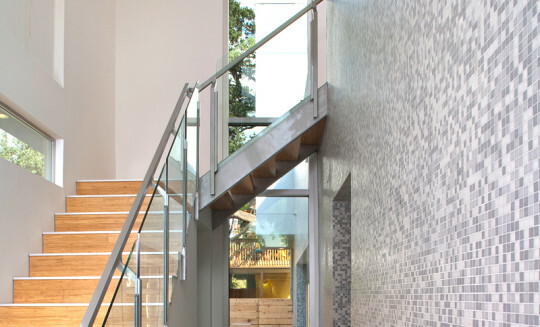 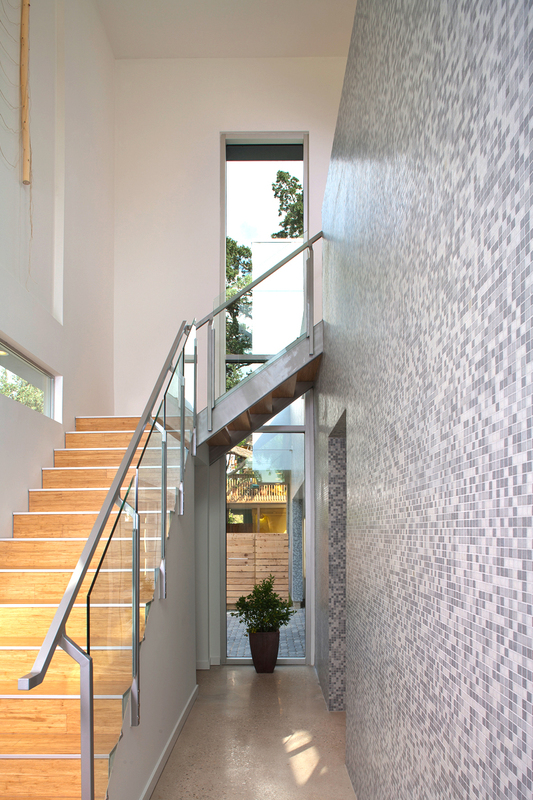 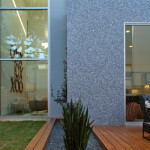 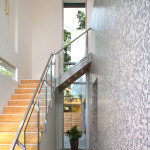 The 1st floor public spaces are organized around a mosaic tile wall that runs through the house.